Landlords are invited to the launch of a new forum on Wednesday, April 17 in Loughborough. Charnwood Borough Council has arranged the event so landlords can get together, network and find out more about changes in the private rented sector. More forums will be planned in the future but the Council is keen for landlords to get involved and help shape the agenda and frequency of meetings. Guest speakers for the April event include Linda Cobb from Decent and Safe Homes (DASH), Teresa Kaczmarek from the National Landlords Association (NLA) and Giles Inman from East Midlands Property Owners (EMPO). In addition, the Council will be launching CBC Lettings. CBC Lettings has been set up to work with landlords to help provide more housing options for people in the borough. Alison Simmons, head of strategic and private sector housing, said: “The new forum is a great opportunity for landlords to meet, network and find out about new legislation and rules affecting the private rented sector. CBC Lettings offers a range of property management services for landlords including finding tenants, rent collection, property inspections, repairs, health and safety advice and accompanied viewings. Some services are free, such as tenant finder, while others such as leasing are offered at very reasonable fees to cover costs and offer a guaranteed income. 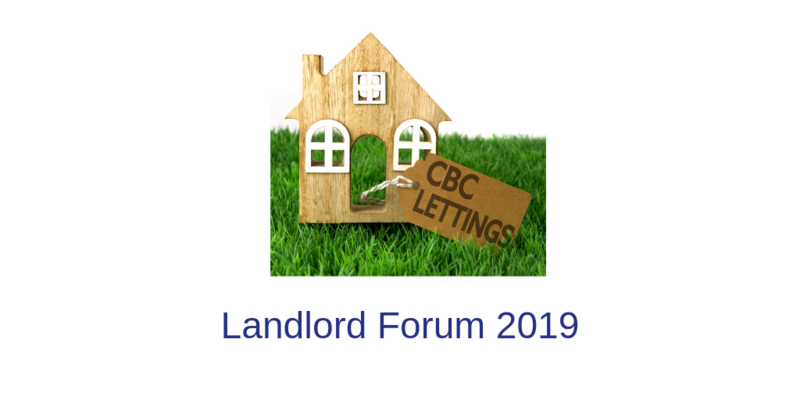 More information will be available at the Landlords Forum. The forum is on April 17, 4.30pm-6.30pm at the Ramada Hotel in Loughborough. More information is also available at www.charnwood.gov.uk/CBClettings.